A picture of Lexi holding up her award at the 2017 Words Alive Westreich Scholarship ceremony. The Words Alive Westreich Scholarship Program awards scholarships to participants in the Words Alive Adolescent Book Group to support them in their pursuit of higher education at the college or vocational level. Unlike other scholarship programs, which typically fund only tuition, books and educational supplies, each recipient is eligible to receive funds to cover the cost of rent, food, childcare, clothing, travel and other living expenses. Additionally, the program matches each recipient with a mentor. Student and mentor meet regularly throughout the school year, and the mentors provide guidance, direction, and often, a shoulder to lean on. In the past month, we have seen three of our scholarship students, Domminiece Willis, Zaphire Alonso Duarte, and Lexi Martinez, graduate from community college with associate's degrees. All three students graduated on May 25, 2018, Domminiece from Southwestern College and Zaphire and Lexi from City College. Words Alive is thrilled to have been a part of the journey towards success for all of these wonderful students. We are so proud of all of them; they embody what it means to persevere and thrive. We interviewed Lexi Martinez to learn more about her college experience and her experience with the Words Alive Westreich Scholarship Program. 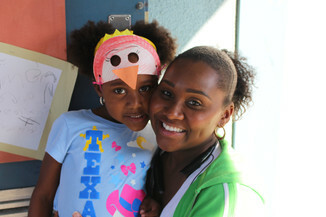 A picture of Lexi working with her mentor, Sarah Beauchemin, at an event at Feeding San Diego! 1. When were you first introduced to Words Alive? How has your experience with Words Alive affected you? I was first introduced to WA while I was a student at Monarch School in 2012-2013. My experience with WA has always been extremely positive. My love for reading has been restored since I have been involved with them and I've always found a support system within the organization. 2. What was the biggest challenge you faced in earning your degree? My biggest obstacle was not having a stable living situation for me of my family. 3. How did you overcome that challenge? I helped my mom as much as I could and thankfully my mom was able to get an affordable housing grant. 4. What is your favorite book that you read during your college years? Why? My favorite book that I've recently read is Big Little Lies by Liane Moriarty. 5. What are your future plans now that you have earned your associate degree? I will be attending SDSU in the Fall to get my Bachelors in Social Work. 6. What advice do you have for the next generation? Always work on yourself and make you and your future your number one priority! Never stop trying to improve yourself. What is the Connection Between Literacy and Economic Development? Nearly 25 years ago, the President of the United States recognized the importance of literacy and the opportunity literacy provides not only individuals, but whole communities. In 2017, according to The Nation’s Report Card, only 36% of 4th graders in the United States were at a proficient reading level or above. These children are not the start of the cycle of illiteracy, but a continuation of the environment they were brought up in that didn’t prioritize reading -- often times because their parents were illiterate. This means these children weren’t read aloud to at home, they likely didn’t have any books in their house, and homework was a lone task. Studies have shown that 1 in 7 adults in America are considered functionally illiterate, which has the potential to trickle down to our youth. What Does Illiteracy Really Mean? Source: Words Alive; A graphic that says: "Literacy is the foundation of community and economic development. When everyone can read, whole communities thrive." Being able to read is more than being able to escape into a book and be transported to a different decade or world. Illiteracy means that one can lack the skills necessary to read the dosage/warnings on medicine bottles, follow cooking instructions, properly manage finances, or apply for jobs that allow one to live above the poverty line. The cost of Illiteracy in the United States is estimated to be over 300 billion dollars, according to a report written by the World Literacy Foundation. In the same report, it is said to cost the global economy 1.2 trillion dollars. How Do Other People’s Reading Abilities Affect the Economic Development of Your Community? Perhaps one of the clearest ways to explain how literacy affects the economics of whole communities is illustrated by the correlation between literacy rates and prisons: 3 out of 5 inmates in United States prisons cannot read. Not only does this have an impact on the communities and families of these individuals, but taxpayers are paying for these prisons and all of the maintenance and costs they come with. Health has also been shown to be affected by literacy rates. There have been multiple studies showing a correlation between communities with high literacy rates and lower infant mortality rates. The idea being that literate adults have increased ability and knowledge to seek out medical treatment for themselves and their families, as well as a difference in their reproductive behavior -- including increased contraceptive use. This results in more proactive visits to the doctor, generally at a lower cost, as opposed to high cost emergency visits. For those with low literacy, it is often a struggle to obtain jobs that pay above a living wage. Furthermore, once they are in these jobs, it is difficult to be promoted or get a pay raise, vastly limiting their job mobility. This means that these employees will have more difficulties supporting their families and are more likely to depend on supplemental means of doing so such as welfare or food stamps. According to a study conducted by Betty Hart and Todd Risley, there is a 30 million word gap between children in low-income families and children from higher income families. The report outlines their findings that an average child in a higher income family will experience nearly 45 millions words by the time they are 4 years old, compared to the 13 million words that an average child who lives in a low-income family will hear. Not only does this demonstrate the economic impact that illiteracy has on families, but also the continuous cycle of low literacy it creates. How can one be expected the equal opportunity to make a decision in upcoming elections when they aren’t provided with this information in a format that benefits them? In other words, how can you vote and advocate for yourself if you are unable to read voting information and instructions? Thirty-second commercials provide limited information, while the multitude of pamphlets and voting materials give the option to make a more educated choice. When the people of our communities are given the opportunity to obtain this info through multiple venues, they are more able to advocate for themselves and participate in causes they believe in. Communities built on a foundation of literacy will allow the creativity and energy of more voices to be heard and change our communities for the better through civic engagement, lessened costs (such as to our prison and healthcare systems), and a healthier society. The first step to beating illiteracy is right at your fingertips: get involved with local outreach groups, volunteer for literacy organizations (like Words Alive! ), and donate books to schools, libraries, and other organizations that need them -- because illiteracy is 100% preventable. Erin with Cape Buffalo in South Africa. Erin joined the Words Alive Family in early September through the AmeriCorps Program, and will be working us for the 2017-2018 year. Her focus with the organization will be in volunteer infrastructure, and she will be a fixture at upcoming program and volunteer events. So far, Erin has hit the ground running - taking on community outreach and recruitment to staff our programs and spread the word about our impact. We hope you get to meet her soon, if you have not yet! Now, let's hear from Erin herself! After learning about the wonderful programs and overall mission of Words Alive I immediately knew this was the right place for me. I’m delighted to be working for an organization which not only promotes literacy and fosters a love of reading, but which also takes on the task of placing thousands of books into the hands of hundreds of families and children each year (I’m a firm believer that reading from a physical book is more wonderful and beneficial than any e-reader). I’m amazed to think of the impact Words Alive has on the community through the simple yet powerful act of reading and I am honored to be part of it. There are so many things that excite me about working with the Words Alive team! First and foremost, I’m thrilled to work with people who are passionate about bringing the benefits of reading into our community through such amazing programs. I look forward to helping Christina recruit and train more volunteers and I am eager to get into the classrooms to see our incredible volunteers in action. I’m also excited to learn more about non-profit structure and behind-the-scenes operations. As a child I always had my nose in a book, most often historical fiction or books about the natural world (my degree is in Wildlife Conservation Biology). My adult nose tends to be in fewer books but I still love reading and cherish its ability to easily transport one to new places and times. In the last several years I’ve waded through mostly college textbooks but with my recent graduation I hope to return to one of my favored pastime; leisure reading historical novels. I’m currently reading Pirates of Barbary by Adrian Tinniswood. It’s about the many adventures of the pirates who sailed the high seas of the Mediterranean during the 17th century. Erin feeding Eastern Grey Kangaroos in Tasmania. Currently, there are no employment opportunities at Words Alive, but we are ALWAYS recruiting for wonderful volunteers to work in the classrooms with our students and families. Check out how to get involved as a Words Alive volunteer! 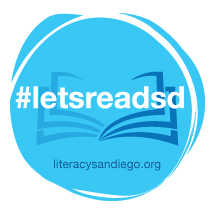 Did you know Words Alive is a proud affiliate of the San Diego Council on Literacy (SDCOL)? For the past 30 years, the SDCOL has worked to bring awareness to the literacy cause in San Diego by uniting the community through advocacy, partnerships, resources, and coordination. As a convener, the SDCOL also brings together 30 affiliate literacy providers from across the county for networking, professional development, and resource sharing. These opportunities have undoubtedly benefited Words Alive by connecting us with expertise of other passionate providers doing whatever it takes to create a more literate San Diego. And together, we certainly achieve more. Last year, the 30 affiliate partners of the SDCOL delivered no-cost literacy-building services to more than 170,000 children, youth, and adults across San Diego. One of the central goals of the SDCOL is to instill the importance of literacy in the region. On that front, in 2014 the SDCOL spearheaded a Region that Reads campaign fostering partnerships with the 19 mayors of San Diego County in which each would support the work of the SDCOL. It also encouraged mayors to designate a liaison from each city to ensure greater connectivity and communication between the cities and literacy providers on the ground. Words Alive is proud to have contributed towards this effort as a member of the public policy committee. The SDCOL also shares resources with its affiliate programs, where most recently, the SDCOL contributed to our Read Aloud Program with a donation of new, high-quality children's books that will be distributed through our program-wide giveaway later this month. Currently, the SDCOL is promoting their #LetsReadSD campaign to empower individuals to share their love of reading on social media. We encourage you to "get caught reading" this month, and learn more about the SDCOL and its affiliate programs to see the amazing work we do together! Click here for more information about the San Diego Council on Literacy and its affiliated programs, and on the image below for more on the SDCOL's #LetsReadSD campaign. Literacy is the foundation of our success. It allows us to learn, to teach, and to make change in the community. Our three programs tackle literacy issues among children, teens, and families, each with the shared goal of creating life-long learners. Establishing a commitment to reading gives individuals the confidence to change their communities and take charge of their life. Our programs inspire a commitment to literacy early in life so children and teens do not remain illiterate into their adult lives. Our Read Aloud Program sends trained volunteers into elementary classrooms and engages children with stories. Teen Services ensures young adults have a space to discuss novels and can pursue higher education with our Westreich Scholarship Program. The Family Literacy Program empowers parents to make reading a priority in their home and teaches effective methods of doing so. Each of our programs aims to prevent illiteracy later in life by engaging children, teens, and families with reading early on in their development. Words Alive is proud to offer these programs that empower participants in all stages of life. In order for us to continue giving the gift of reading, we need your generosity and support. This holiday season, when reading a card, your favorite novel, or this blog post, be thankful for the opportunities you had to become a developed reader. Help Words Alive create this same experience for others in San Diego by making a donation. Your generosity will help advocate for literacy and allow us to give the gift that keeps on giving. Literacy is important; it is the foundation of success in our society, and Words Alive strives to ensure we all have the same opportunities to achieve our goals. Love using Amazon for your online shopping needs and also love helping Words Alive? You can do both! AmazonSmile allows any account holder to give 0.5% of their purchases to a charity of their choice. It's a simple and automatic way for you to support your favorite charitable organization every time you shop, at no extra cost to you. When using AmazonSmile, you'll find the same great low prices, wide selection, and convenient shopping experience as you do on Amazon.com. The extra benefit: giving back to your favorite organization! Getting started is simple, too. Visit smile.amazon.com and log in using your regular Amazon account, then choose Words Alive as the organization you'd like to support. Tens of millions of items are marked as "Eligible for AmazonSmile donation" on their product detail page, making it easy for you to give back to Words Alive. We encourage you to use AmazonSmile whenever shopping online, but we've set up a special holiday wishlist just in time for Cyber Monday! Here's how to find the wishlist: once logged into your AmazonSmile account, hover over the Lists tab in the upper right-hand corner near the Cart. Click "Find a List or Registry," and type in Words Alive to the search bar. Check the sidebar on the left to make sure you're looking at our holiday book wishlist, then begin shopping! You can choose to have the books shipped directly to us, or you can send them to your home and drop them off in our office Monday through Thursday from 9am-3pm. Find great deals online on Cyber Monday and help support Words Alive while you shop. The books featured on our wishlist will be used in our Adolescent Book Group, Read Aloud, and Family Literacy programs and help inspire a life-long commitment to literacy. Purchasing books on Cyber Monday and donating them to Words Alive will help us give the gift of reading this holiday season! During our Family Literacy session each week we talk about two major themes: The power of play, and how to make reading more playful. We emphasize the importance of children using their entire body and senses to learn. Through this example we are connecting the power of reading with the world that surrounds us. Having children use their outside sensory abilities to connect to the book will allow for them to have a deep and more meaningful connection to reading and to the world around them. The First week of April marked the start of our second session of Family Literacy Programming for the 2015/2016 season. For seven weeks we will be working with over a 100 families. Each week we have fun activities and games to engage families, making reading a part of their daily routine! Our Family Literacy Program is a full adventure for both the parents and children. If you are interested in visiting one of our Family Literacy sessions we would be happy to make the arrangements. We have ongoing sessions from now until May 20th. Please contact Amanda Bonds at, amanda@wordsalive.org to schedule a time and join us at a site, as we continue to MAKE READING MATTER!